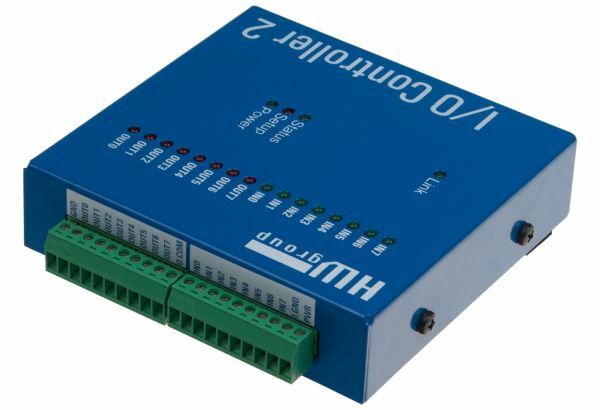 The serial interface is configured to operate at 9600bps, 8bits, No Parity, 1 stop bit. Port A is configured as the output port, not forgetting that RA4 is an ‘input only’. Port B is used as the input port, again RB1 and RB2 are used by the PIC USART so aren’t available. In addition I have reserved RB0 for a Dallas 1-wire interface. Although the code isn’t implemented here, the RB0 port along with RB1 and RB2 is masked from the input status command so bits RB2,1,0 always return 0.
; A ‘#’ is used as the command prompt. ; recognised, or contains invalid or insufficient arguments. ; where x must be 0 or 1. MSB is leftmost. ; At startup the format will be hex. ; followed by the port status. ; At startup print mode will be port status only, no preceding text. ; Weak Pull Up is disabled at startup. ; Note: All output commands work on the outputReg memory variable. 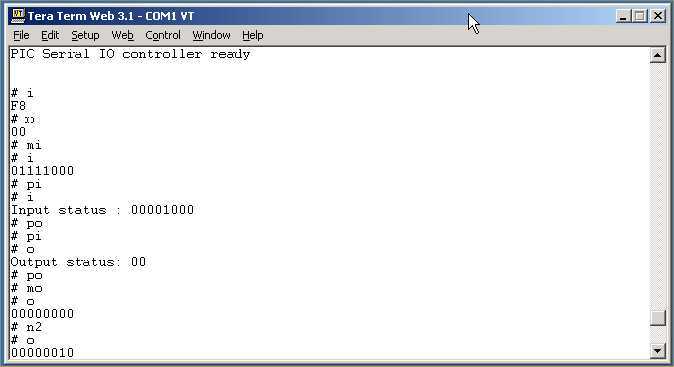 ; This is copied to the output port register on completion of each command. ; and displays the value in the outputReg memory variable. There are no schematics for this since it’s designed as a building block. You will need to interface pins RB1 and RB2 to a serial interface. RB1 is RXD input and RB2 is TXD output. The code configures the PIC to use the internal 4Mhz oscillator so no external crystal is needed.